If you’re thinking ahead to the Fall semester and considering a media project for your students, you don’t need to start from scratch: Media Commons consultants have been working with faculty in many different disciplines over the years and we’ve been able to help develop some great, customizable materials to jumpstart your plans. 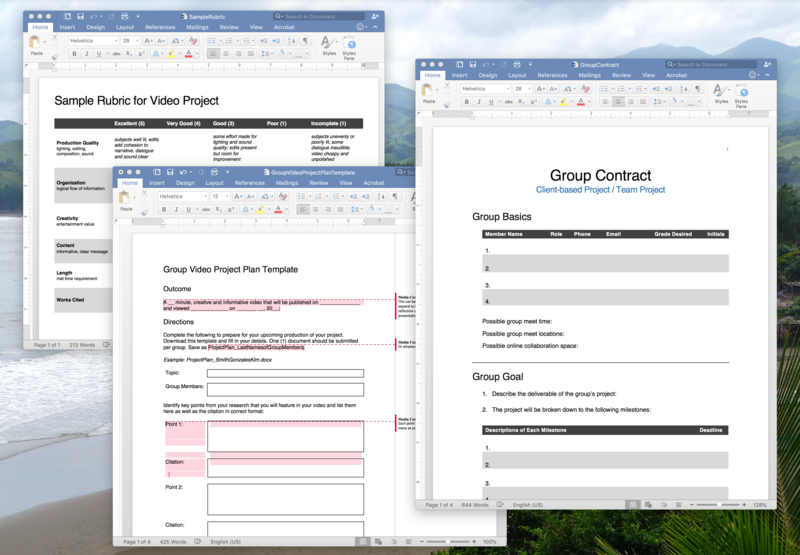 Our project rubric was a merger of several different instructors’ documents and is a clear, concise tool for marking up a rough draft or final submission. 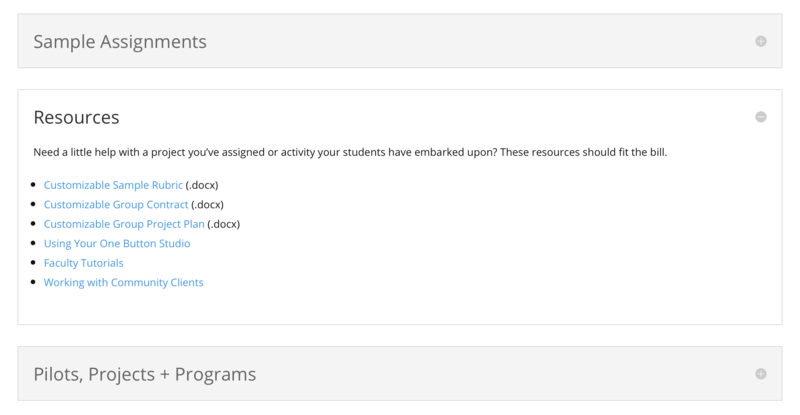 Points can be tailored to fit your grading scale and the rubric itself works well as either a reference for your students or a hand out for in-person grading for just you or a panel of subject experts like librarians and your MC consultant. The group video project plan template is a way to make actionable the usual assignment outline handouts given from instructors to students. Instead of just glossing over the items that each group will be responsible for, it asks for students to actually engage with deciding what inspiration they’ll be drawing from, who will be doing specific tasks, where they will be getting materials and what on-campus and remote resources they’ll be leveraging. Last but not least, the group contract formalizes the dynamics of how each team will go about producing their project. It sets into place not just the roles each person will be taking on but also expectations for communication, methods for resolving disagreements and more. As a means of setting up accountability, this contract can take a lot of the burden off of your shoulders and put it onto the students – a great added opportunity to teach a valuable mindset. Take a look and let us know if you have any questions for a consultant. Special thanks to the following faculty who helped us hone these items: Tiffany MacQuarrie, Debra Majetic, Kristen McAuley, Kelly Munly, Deborah Sillman and Martha Strickland.